The Coromandel Peninsula has an extensive and spectacular coastline. On the west coast, there's a never-ending parade of beaches, coves and harbours lined with pohutukawa trees (a red-flowering native of New Zealand). 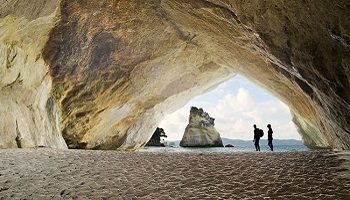 The eastern side of the Coromandel is sprinkled with white sand and surf beaches. The many sandy beaches provide safe swimming and surfing, and big-game fishing and bush walks are popular activities. The Coromandel's history is evident in mining relics, logging dams and ancient Maori pa sites. The past is also reflected in the charming colonial architecture and historic buildings preserved in several towns around the region. The Coromandel, with its inspirational natural beauty and peaceful environment, has long been a haven for artists and craftspeople. Visitors can take time to explore and enjoy the wealth of galleries and studios and let the artists' creations inspire you. Located only one and a half hours travel from Auckland Airport, the Coromandel Peninsula, New Zealand is a world away from the hustle and bustle of the city. 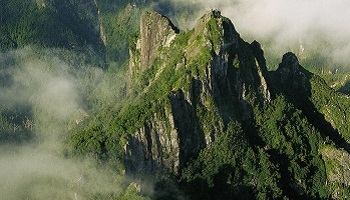 The Coromandel Peninsula has a rugged range of mountains covered in natural rainforest running down the length of the peninsula. The western side has a rugged coastline, with native Pohutakawa trees growing down to the shore line. On the eastern side, are a series of large bays, with beautiful, white sandy beaches. 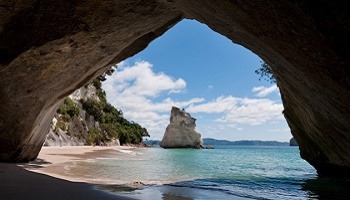 It is no wonder that the Coromandel Peninsula is a favourite holiday destination for Kiwis! The region has a long and colourful history. Captain Cook visited here in 1769, and observed the transit of the planet Mercury going across the face of the sun. Hence many of the places on the Coromandel are named after Captain Cook's expedition, including Cook Bay and Mercury Bay.